Growing up is difficult. I remember hearing the “S” word, yes sissy, and saying I just cannot be that. Being a skinny short kid did not help either. Therefore, I watched other boys, observed how males interact and did my best to emulate. Someone teased once, “You throw like a girl” which precipitated weeks of work and practice. Most of my natural inclinations are very chameleon-like. There was nothing I enjoyed more than playing with the girls. I believe this explain my need to have a “girlfriend” early on to legitimize my playmate preference. 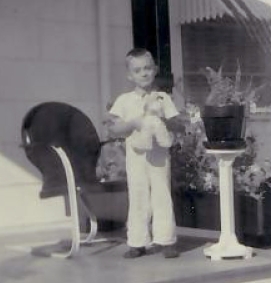 My grandparents indulged me by honoring my request for tea sets and dolls, so girls in the neighborhood would come over, much to my delight, to play. Just as a side story, I attended a high school reunion about 15 years ago and found myself much of the night in the company of women that were friends while in school. Maybe still a comfort level. It did not take me long to realize that if I did not “man up” (hate that expression) I was destined to be forever the neighborhood sissy. Thus, my study of how to act – how to fit in. Yes, sports, I was never very good at baseball or basketball but that did not stop me for giving it a good effort. That good effort many times was not good enough and embarrassing. 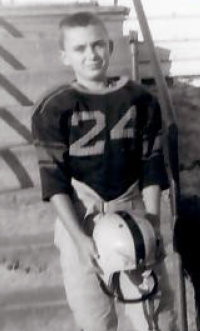 After a shot of growth that made me larger than my peers, I became good at football and was chosen first for rough and tumble sports for a while. A little league football coach took an interest and helped me excel in sports for the first time. It was interesting that I got my (one time) grown spurt at about the same time as the girls, but never got any taller. That is likely a subject for another post. The times I grew up in were a simpler. All of the boys in the neighborhood from the nice families played together. At first, I think the other boys were told they had to include me, but eventually, I was accepted. My quick wit and early leadership skills helped. We built forts, played monopoly, went hiking / exploring and rode our bicycles everywhere. I did eventually find my place and had a very well-adjusted childhood. During this time of desire to fit in, there was always the girl underneath screaming to get out. I hoped this ever so odd desire would be something I would outgrow. There were times I wish she would just go away – she complicated my life. But, today I am happy I kept her around and we have learned to co-exist very well. Still the chameleon, I make efforts to fit in both worlds. Growing up how did you cope? What worked for you?